Women of the Wall (Hebrew: נשות הכותל, Nashot HaKotel) is an organization based in Israel, whose goal is to secure women's right to hold and read the Torah and to wear religious garments at the Western Wall. They have organized a series of Women's prayer groups at the Kotel (Western Wall) each month on Rosh Hodesh. The group prays in a traditional service, and includes women reading from the Torah and wearing tallit, tefillin, and kippah. 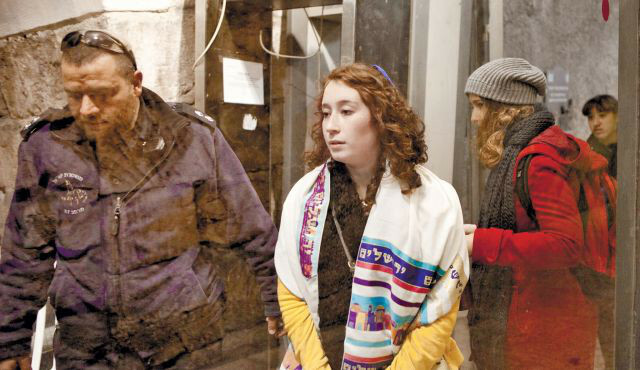 Because of laws and social attitudes regarding women praying at the Wall, members of the group have been assaulted by other worshipers and arrested by Kotel police. This week, the world has been mesmerized by the story of Malala Yousafzai, the 15-year-old girl who was targeted and shot by the Taliban for publicly criticizing them and their educational policies regarding girls. As you probably know by now, she was airlifted from Pakistan to the U.K. for treatment of her wounds. Although the crime would normally have surely killed her, it seems that she has miraculously been making a good recovery in hospital and may even have a chance of full recovery at some time in the future. True to form, the Taliban is very angry about this incident. Not because they almost murdered an innocent teenage girl, but because they feel they have been unfairly treated in the press. Although it seems clear that she was shot for advocating for girls' education, the Taliban proclaim that they quite rightly targeted her for being a “spy of the west” and that they were correctly interpreting Sharia law which they say permits “killing of a child if that child is propagating against Islam.” I won't even begin to bore you with the number of blogs and media postings I read that did not exactly justify the shooting, but seemed to find a kind of moral equivalence, or at least a sort of justification for the actions of the Taliban by explaining their extremism as some kind of legitimate response to the phenomenon of U.S. drones in Pakistan. As you can see from their own response to the attempted murder, they don't make that moral equivalence themselves, so I don't see why so many people in this country are so eager to make it for them.